Criticizing the leadership capabilities of presidential hopeful Barack Obama was considered a blasphemous act of heresy during the summer of 2008. Back then, you were asking for trouble and social ostracism if you dared cast doubt over Obama’s vague notions of hope, change, and the future of the U.S. across various sectors. Today, it’s OK to slam him. In fact, it’s all the rage lately. The same media pundits who lauded Obama the presidential candidate in 2008 have stripped away his invincibility cloak and are mercilessly taking jabs at Obama the U.S. President this week as he prepares to give a jobs speech before Congress on Thursday night. Many of these same media folk who crowned Obama president-in-chief long before the 2008 election ballots were cast are now wondering whether Obama’s then-nemesis Hillary Clinton—a candidate many of these pundits viciously tore to shreds in 2008—would have been a better presidential pick. In addition to the media beating, more than half of Americans disapprove of Obama’s job performance, according to a recent ABC News/Washington Post poll. Of those polled, 77 percent said the U.S. is on the wrong track. The collective, Obama souring makes me feel sorry for Obama the guy—that ambitious, newbie senator who’s true identity got lost in aspiration, hype, and idealism that surpassed the true leadership capabilities he actually had at that point in his political career. He promised hope—it’s boiled down to recessionary and economic despair. He promised change—most Americans have been out of work for years already with no sign of an immediate hiring. He promised collaboration—it blew up in his face with the rise of fringe political groups. For the sake of full disclosure, I didn’t vote for Barack Obama during the last presidential election. I backed Hillary Clinton instead and, when she lost the primaries, I decided not to cast a vote for Obama. The sensational hype and fanaticism surrounding him didn’t convince me and there was just something about Obama’s leadership style that just wasn’t right. To me, the Obama of 2008 seemed like a leader at the onset of chrysalis—that transformational metamorphosis that happens when caterpillars turn into butterflies. Obama wasn’t a butterfly in 2008; he needed more incubation time. Rather than let that happen, a majority of voters dragged Obama out of his cocoon and placed him on a pedestal far too early. Now, many people dislike the same leader they showered with praise, glory, and a Nobel peace prize. They’ve also taken away one of the most important elements any leader needs in order to be effective: a willingness to collaborate. During the summer of 2008—when Obama-mania was in full swing—I was enrolled in an MBA leadership course. The course looked at three types of leaders: the transactional kind, the charismatic kind, and the transformational kind. Transactional leaders are demand-and-command types. They’re the finicky micromanagers who follow the book and don’t really foster personal or professional growth in an employee. Charismatic leaders are all talk and hype. They win people over quickly, but have a hard time sustaining that support when they can’t deliver on all of their promises. Transformational leaders are the exact opposite. They strive to motivate and inspire employees who are expected to take pride in the contributions they offer an organization, which is part of the personal and professional growth process. For our first assignment in that class, we were asked to read three scholarly journal articles about these leadership approaches and determine the one that best fit Barack Obama’s leadership style. We then discussed our conclusions in class. I braced myself when I was called on to share my thoughts on Obama’s leadership style—I was, after all, surrounded by college-level Obama loyalists. I didn’t hold back though. 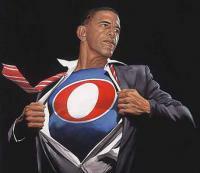 Based on the readings, I found Obama to be a charismatic leader with the capabilities for transformational leadership. These capabilities, however, were dormant; they weren’t developed beyond the conceptual phase. Obama had no real plan for helping the American people grow beyond the limitations they were currently facing. There was a lot of rhetoric, but no clear strategy or vision—it was just talk. Only time will tell what type of leader he truly is, I remember telling the professor and the class. My professor agreed. That seems to be happening now—three years later. And it’s happening at a time when our leader needs our support—as a country—the most.